Shortly after the 2009 earthquake in l’Aquila I was invited to attend a meeting of the Commissione Nazionale Grandi Rischi, part of Italy’s civil protection organization. The subject was calamities, whether environmental or anthropic, and how to prepare and respond. My take-away from this meeting was that the four phases of calamities are quite clear but our memories are short and our administrators only seem to concern themselves with emergencies after they take place. Prediction. Although we can not predict when an earthquake will take place, scientists know which areas are at risk and can classify them as such. (Risk = danger x vulnerability x exposure). Prevention. We cannot prevent earthquakes but we can work to reduce their tragic impact, to prevent injuries and fatalities and reduce damage to property. This is the work of architects and engineers but requires administrative and financial support. Both of these phases of a calamity are part of “business-as-usual” and should ideally precede any construction and be a necessary pre-requisite for “habitability”: evaluate the risk and verify that constructions are built to withstand the risk: if not, everyone out until they are. Emergency. When this phase happens, civil protection machine must be ready to move. It is not an easy job and Italy’s authorities often go above and beyond the call of duty. But, improvements can certainly be made. For example, when the earthquake struck Amatrice on August 24 the Civil Protection Authority website was down for technical reasons. Of course, it is the emergency itself that makes the news, that attracts the attention of mass-media, gawkers and profiteers. And it is always just after the emergency that people talk about prevention, just as I am in this post, not in the calm moments between emergencies. Post-Emergency. Here we are, once again, in the fervor of post-emergency debates. Not because we know that right now most of Italy has no emergency plan in place but because the recent tragedy in central Italy is fresh in peoples minds and in the media. How do we meet the immediate short-term needs of survivors, especially with cold weather on the way? Should someone be held accountable for the poor construction of buildings that collapsed? And most importantly for the architecture profession, what is our long-term strategy for rebuilding? Is it “dov’era, com’era”, replacing lost buildings as much as possible with identical copies, though seismically safe? Or is this an opportunity to change strategies and propose a new architecture for a new city? There is no single, a priori answer, but a determined strategy must emerge in a reasonable time, neither in the haste of the emergency, with no time for scientific rigor or civic input, nor at the slow bureaucratic pace which kills initiative and momentum. After the Abruzzo earthquake I participated in the discussion about rebuilding the smaller villages, focusing in particular on Castelvecchio Calvisio where an organization I helped found, ISAR, has been involved in educational programs and projects. Our experience there may be relevant to the recent calamity in central Italy because it focuses on the reality of rural centers where population can vary from near zero in the off-season to thousands during seasonal events or festivals. One idea was to create infrastructure at the edge of town (water, power, communications) which could be used for special events, both planned celebrations which bring an influx of visitors and unexpected emergencies which result in temporary refugees. Longer term, the Borgo Abruzzo project for Castelvecchio envisions the creation of facilities for academic and cultural workshops where visitors can learn about local traditions and rural ecology. The Center for the Compact City would boast state-of-the-art facilities to host conferences and retreats, allowing a remote village to become a hub for urban ecological discourse. Of course, this begs the question of rebuilding what has been damaged or destroyed. 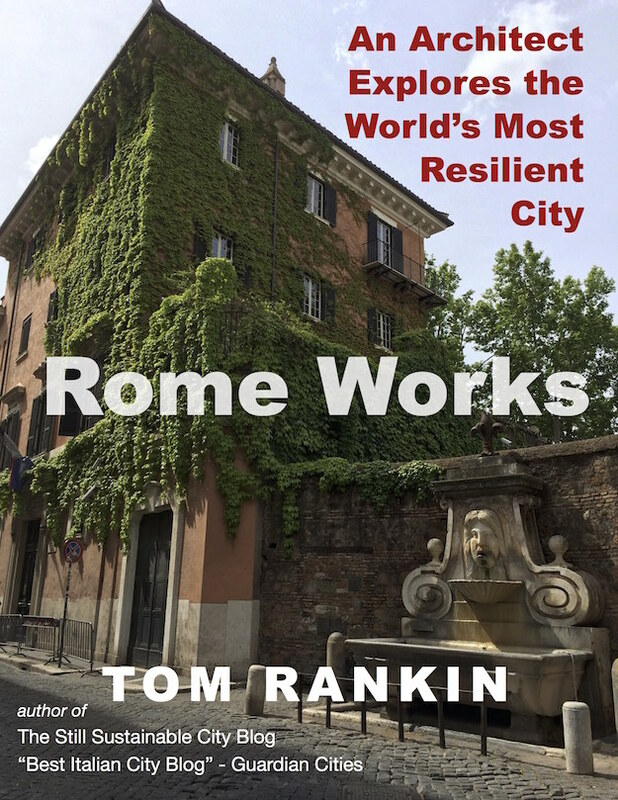 Personally, I am not against the solution carried out in Noto in 1693, to build a new center, even better than the first, with (then) modern criteria, leaving the old town as a testament to the past, a kind of Pompeii of the 21st century. Not a new town from scratch but one built with the participation of the survivors to maintain the towns identity. Such a solution would learn from what worked — compact urban scale and a healthy relationship with the productive countryside — without replicating the unsafe construction. But in parallel with any discussion of reconstruction of the areas devastated, should be an “emergency” effort to make all territories at risk safe against future calamities.